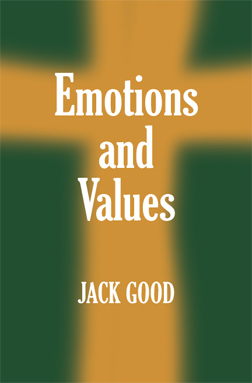 The human warmth that enlivens his anecdotes reveals Jack Good’s extensive experience as both a pastor and a psychotherapist. In addition, he shows himself to be a scholar, gracefully explicating key biblical words and coming up with an original and fascinating take on Jesus: a role model for the effective channeling of emotional energy. If you have ever felt like a victim of your emotions, or if you have ever used your emotions as an excuse for your behavior, you need to read this book.